Imagine stepping out of a gorgeous hotel to discover a less appealing outdoor space. 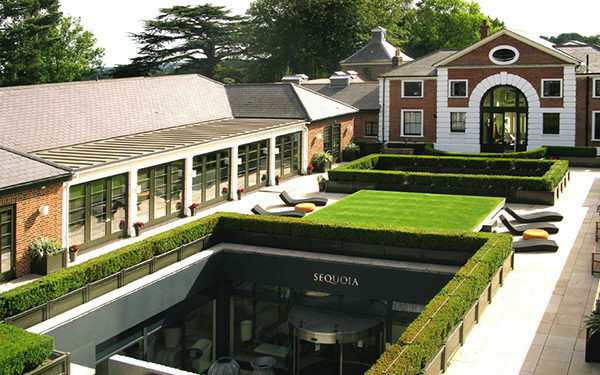 To be talked about and recognised as a luxury spa hotel, it must be luxurious not only on the inside, but outside, too. It is essential to create something memorable. Something guests talk about. 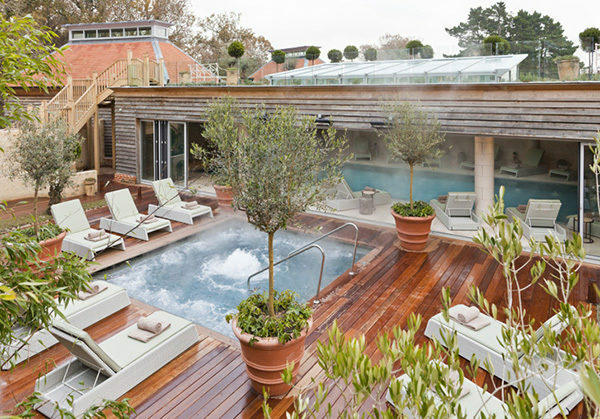 Today, spa gardens, terraces and roof top pools are a huge trend, all distilling the outdoor lifestyle into a relaxing outdoor space that forms part of the spa experience. 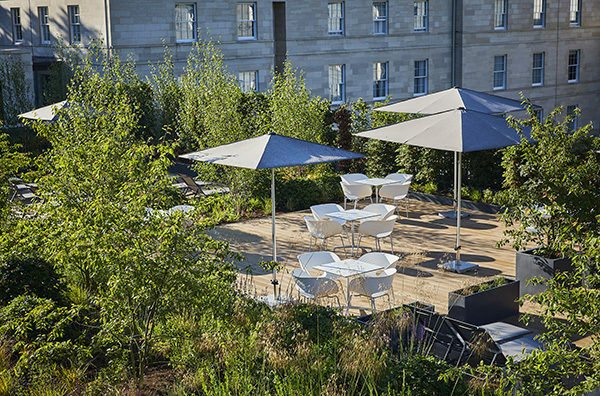 Make sure your spa garden and terrace is the one everyone is talking about. 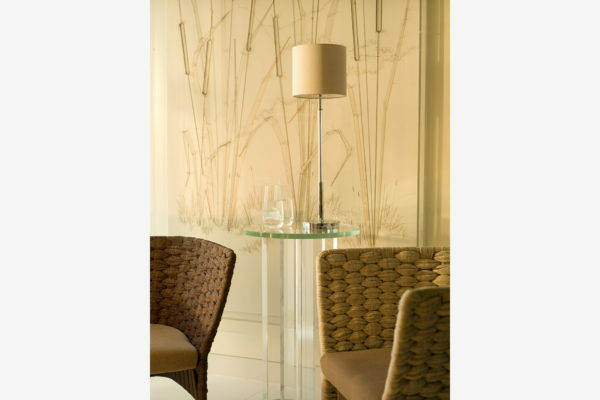 Furniture is one element that can quickly and easily transform ordinary into luxury. But don't make the mistake of opting for cheaper alternatives, you'll soon be looking for replacements. A worthwhile investment, the best quality exterior furniture comes with a price tag for a reason; materials are extensively researched and developed...and made to last the test of time. 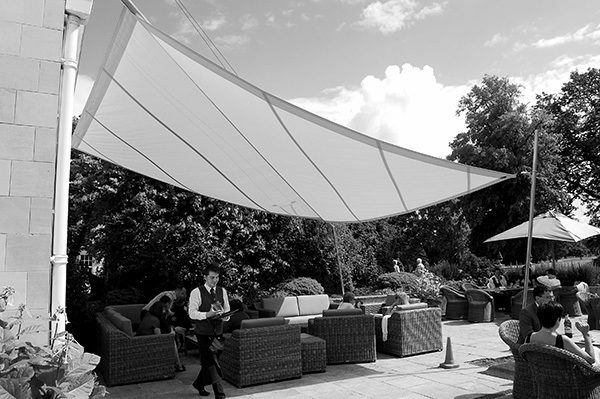 Our exterior furniture, sun sails and parasols can be seen at leading hotels worldwide, as well as luxury UK hotels (as seen in Vogue), such as The Cameron House Spa, Dormy House Hotel, ESPA at The Europe, Lime Wood Hotel and The Grove. Exterior furniture fits the specification for inside the spa, too, where heat, water and humidity must all be taken into consideration. 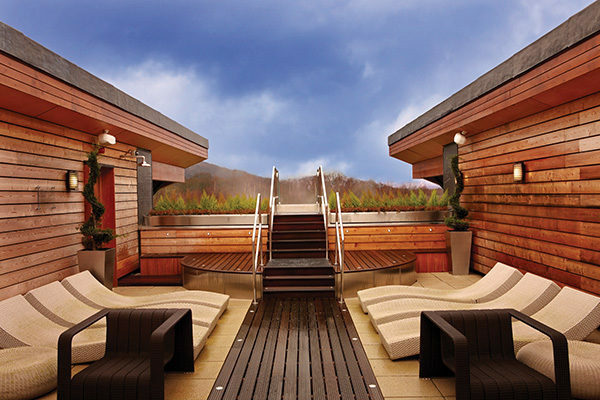 Outdoor fabrics are perfect for extreme spa environments. Pairing sophisticated technical materials and traditional skills, upholstery is easy to maintain, all washable and colourfast, so very easy to upkeep. Keep a spa up-to-date with our beautifully hand-crafted furniture that is not only elegant, incredibly comfortable and sustainable, but creates a unique look, too. 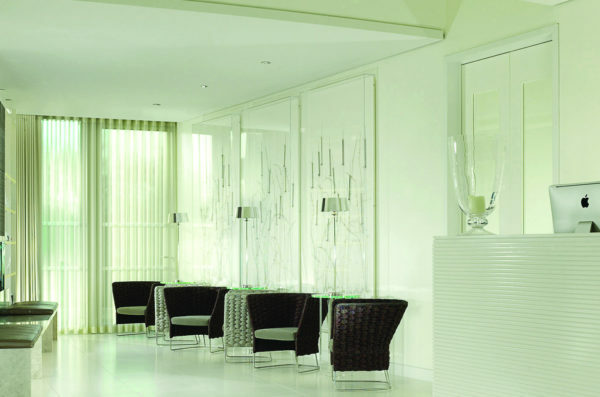 At Coworth Park, elegant Ami chairs in tones of purple and warm grey grace the all-white spa reception, the same tones are also found in the spa-tisserie which feature the Ami sofas.